Swai isn't well known in the U.S., so it's an affordable alternative to pricier fish. 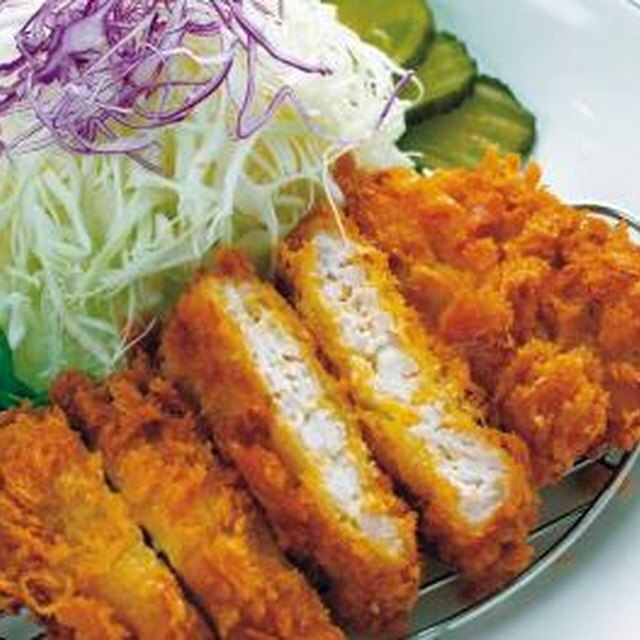 Crunchy breaded swai is both a fun and comforting food. 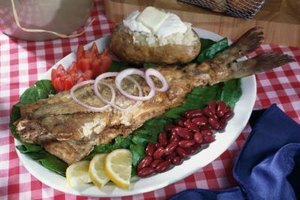 Swai is a type of catfish that offers a mild, sweet flavor and its flaky flesh contrasts well with a crisp crust. Frying is the most effective way to develop the optimal golden color and significant crunch. The cooking process is relatively straightforward, so the swai will fry in a matter of minutes. Cook it in batches, but don't crowd them in the pan. If you will be cooking a lot at once, keep the finished filets in your oven, turned to its lowest setting, as you make subsequent batches. Soak the swai in buttermilk in a nonreactive dish for at least 10 minutes or up to 8 hours in the refrigerator. Stir in additional flavoring agents, if desired, such as salt and pepper, a favorite hot sauce, a splash of vinegar, Worcestershire sauce, garlic and onion powder and/or chili pepper powder. Prepare a breading for the fish filets in a shallow bowl. Combine ingredients such as all-purpose flour, cornmeal, corn flour, panko or other breadcrumbs, salt, pepper and dried herbs and spices. Pour about 2 inches of peanut oil or another cooking oil with a high enough smoke point for deep-frying into a large heavy-bottomed skillet and heat it to 350 degrees Fahrenheit. Monitor the oil temperature with a deep-fry thermometer. Dredge the swai filets in the breading and gently brush off the excess. Lay them carefully in the oil, two at a time. Fry them for approximately 2 to 3 minutes per side, until the breading develops a deep golden-brown color and the flesh of the fish is opaque all the way through. Transfer the cooked swai to a plate lined with a few paper towels, supporting them underneath with a wide-slotted spatula. Let them sit for a few minutes so the paper towels absorb excess oil. As an alternative to soaking the swai in buttermilk to get the breading to stick, submerge the fish in beaten egg. To cut back on calories, make "oven-fried" breaded swai. Rather than pan-fry it in a lot of oil, bake it in the top one-third of the oven at 375 F for about 25 minutes, or just until the breading is golden brown and the swai's flesh is opaque all the way through. Thaw frozen swai by storing it in the refrigerator for at least 12 hours. ConsumerReports.org: What the Heck Is Swai?